Brighton is a seaside town on the south coast of England 47 miles south of London, making it the perfect location for my first day trip from London. 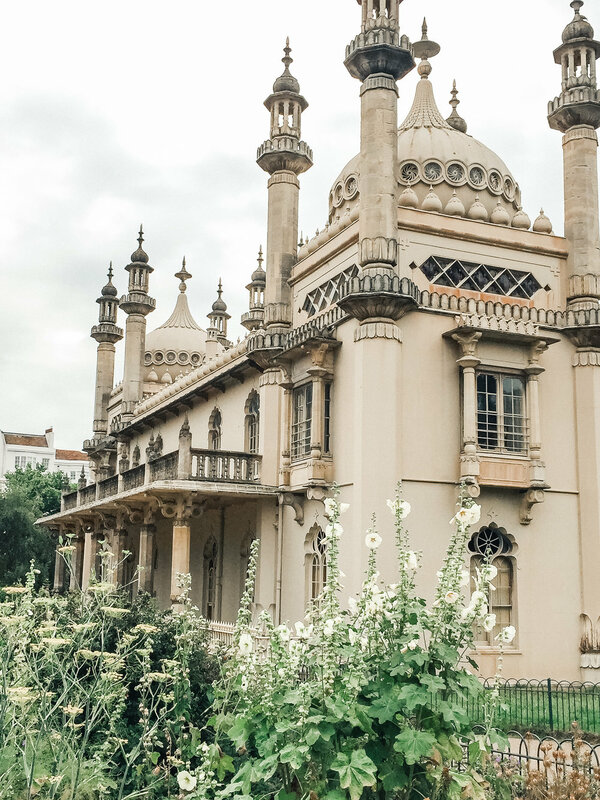 The town was a small fishing village until the prince regent who reigned as George IV from 1820 to 1830 fell in love with the village and had the Royal Pavilion built. 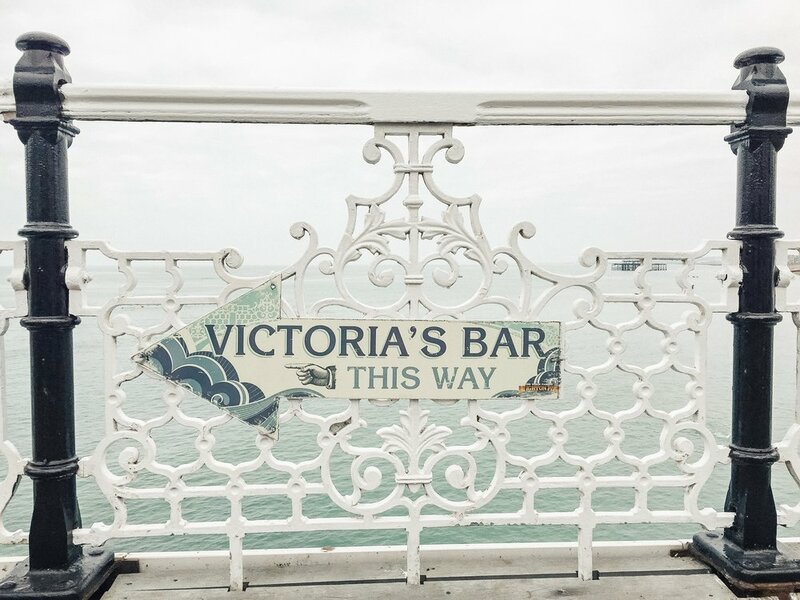 Where royalty moves, everyone follows, and Brighton eventually became one of England's most popular destinations. Today it remains just as popular, drawing all types of people to its pebble shores. Here, you'll find an array of laidback coffee shops, cosmopolitan restaurants, vintage stores, boutique shops, and of course, a pub on every corner. 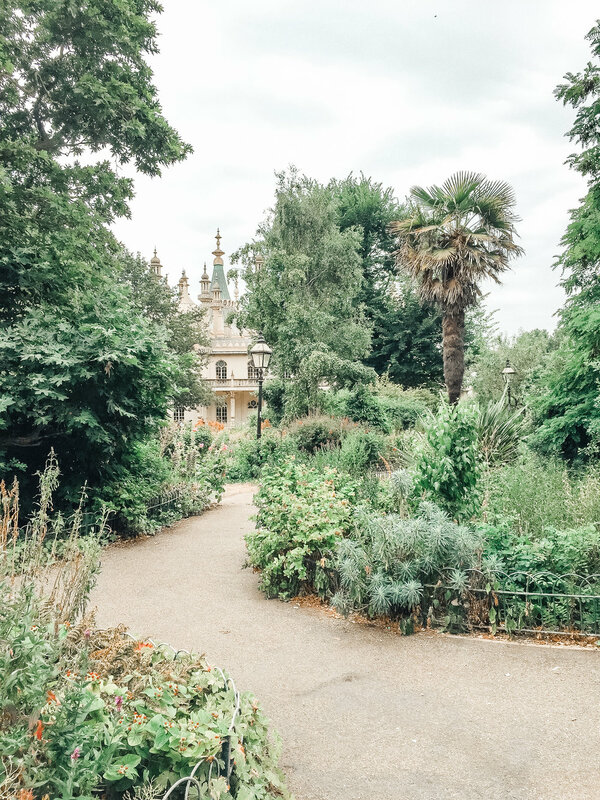 Wanting to maximise the amount of time there, my friend Emily and I hopped an 8:25am train from London Victoria station and stepped onto the platform in Brighton a short hour later. It was cloudy and chilly when we first arrived which, under normal circumstances, would be par for the course with England except that we've been having an exceptionally warm summer. Still, beggars can't be choosers so we decided to take advantage of the cloud cover and explore the town until the sun came out. 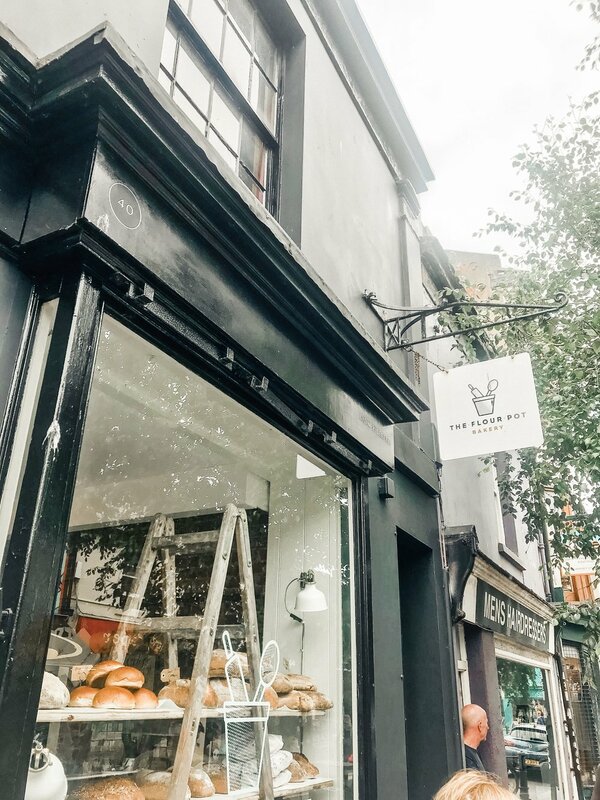 North Laine is Brighton's well-loved collection of shop-laden streets with old theatres, vintage clothing shops, and collection of bakeries and coffee shops. First item on our agenda for the day was of course, breakfast. 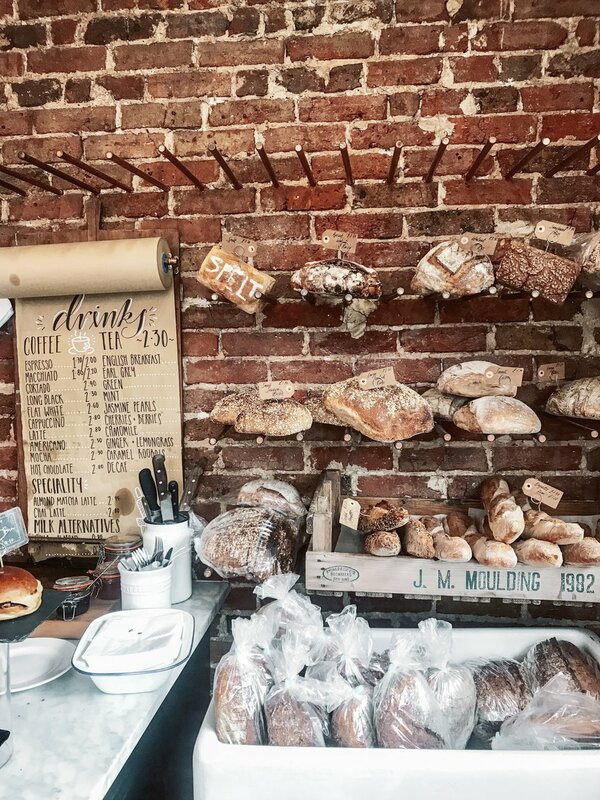 We found the most adorable bakery called The Flour Pot. 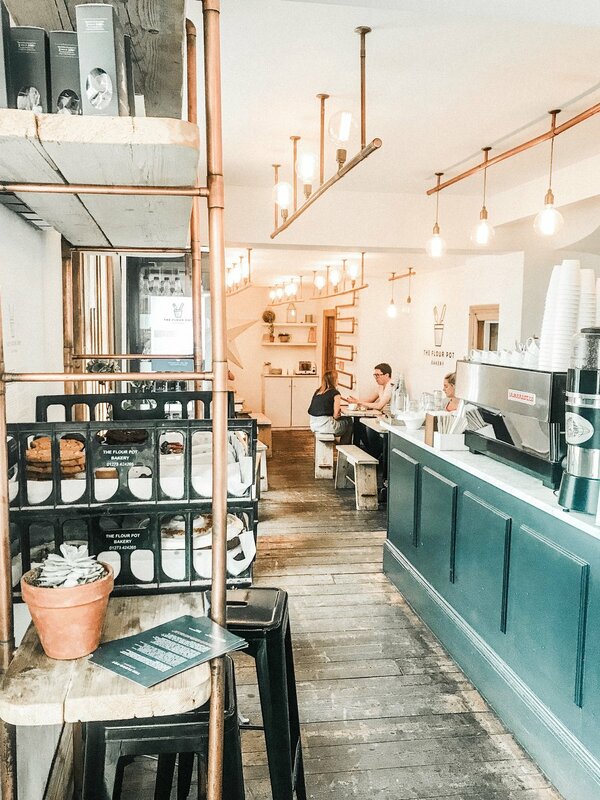 The interior of the bakery was filled with copper accents, Edison light bulbs, airy shelving, and rustic wooden floors. There are an array of drinks, sandwiches, baguettes, and breads available to customers; we each had the spinach and mushroom croquet-monsieur, which was to die for, and a healthy dose of caffeine via a flat white and a chai latte. After we finished our breakfast we decided to meander through the streets in the direction of the shore. Vintage clothing racks and tables with jewelry and other goods spill out of the shops and onto the sidewalks and cobblestone streets, making it very easy to lose track of time while picking through it all. 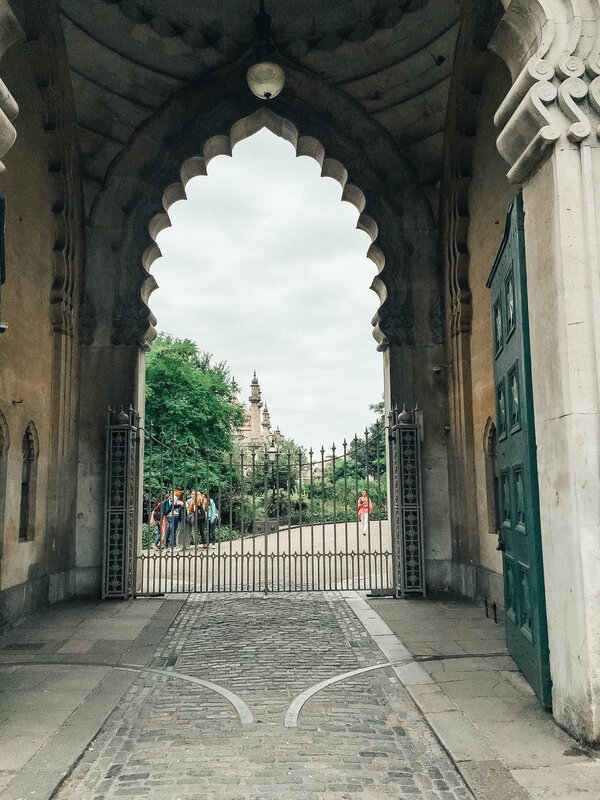 One of the most surprising sights to see in Brighton is the Royal Pavilion. 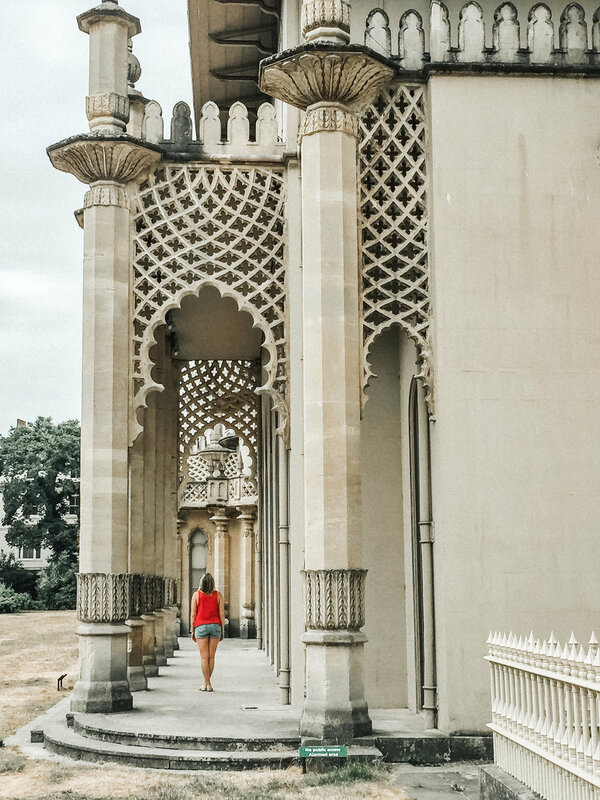 I've already mentioned that the Royal Pavilion was built by then prince regent George IV. The prominent early-19th-century architect John Nash re-designed the original farmhouse and villa on this site into an Indian fantasy. The only part of the architecture that pays tribute to the country it resides in is the surface of the building, which was painted to create the unified vision of a building made of Bath stone. We satisfied our intrigue by wandering around the gardens and the estate (both of which are free), but you can also book tickets to view a variety of the rooms that the estate has to offer. Brighton Palace Pier, located in the heart of Brighton's coastline, opened on 20th May 1999 with a grand ceremony. It's open 7 days a week and 364 days a year (even the Pier needs a day off on Christmas) and has something for everyone. 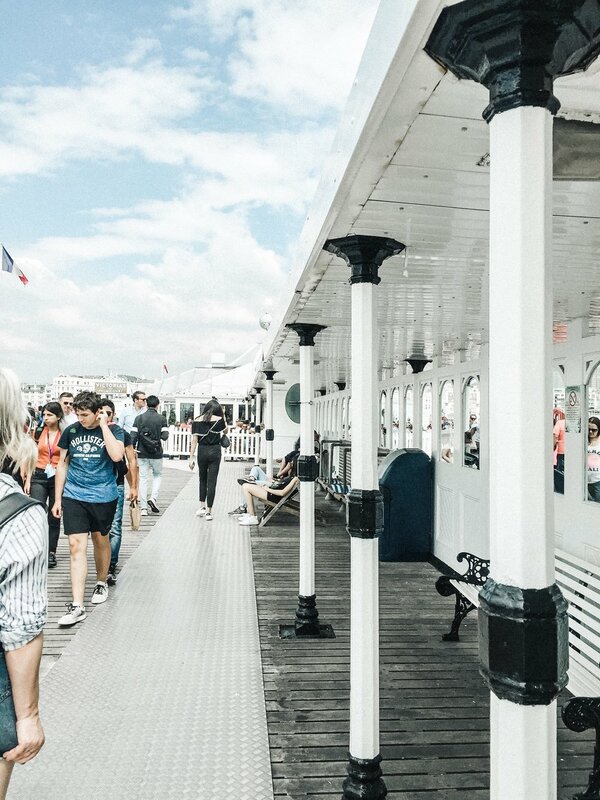 It's everything you'd expect from a seaside pier. Neon colours and bright lights decorate the rides and arcade games, the screams and laughs of children can be heard floating through the air, and the smell of dough, sugar, and hot dogs flood your nose. Plus, it also has incredible views of the Brighton coastline. I use the term "beach" lightly here. 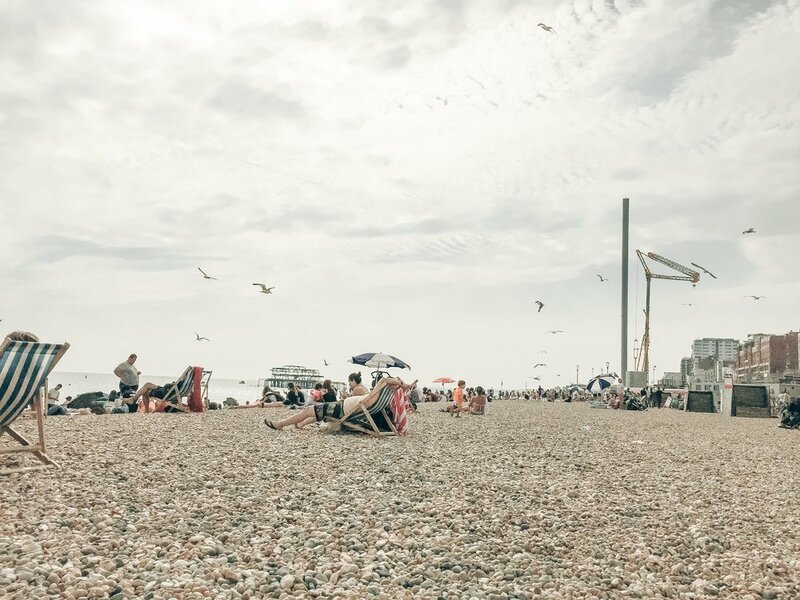 Really, Brighton's beaches are a collection of sand colored pebbles that are reminiscent of Iceland's "black sand" beaches. While maybe not the most comfortable to lay on, you can rent one of the many beach chairs for a mere £3 and settle in for as long as you'd like. The beach is a great place to catch up on a book, take a nap in the sun, people watch, and watch the tide roll in. Soak it up - you aren't in London anymore! We spent our afternoon sitting in the chairs, sipping cold cider and chatting the afternoon away. Needless to say that I did NOT finish the book I brought with me (or read even one page for that matter), but the sun came out and it turned out to be a beautiful afternoon. Eventually, it was time for us to hop back on the train and head back to London. It's not surprising that when I fell asleep on the train my dreams were of blue skies, waves, and seagulls overhead.